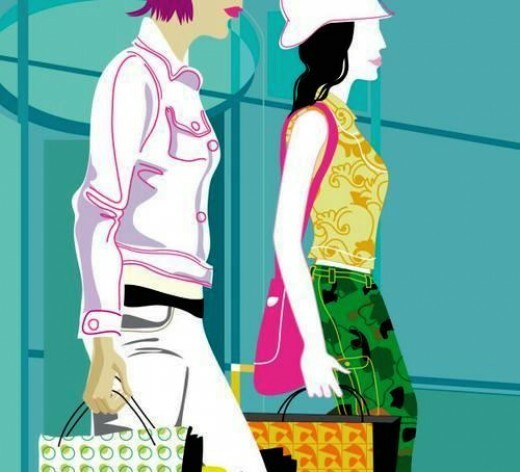 Budgeting For Fashion – Yes, it’s possible! The Economy is… shall we say floundering?? The Holidays – they always put us into debt, how can we buy anything for ourselves right now? You’ve heard it before- focus on the essentials and basics. I had a client once tell me that in the fashion world, the tougher the economy the more basics will rule, where as in a high flying economy fashions will be more adventurous and border on the scandalous. You don’t need to spend a fortune on you clothes, but turn to some more classic looks that you can buy at lower prices. I’m all for splurging on a good pair of boots, jacket, or pencil skirt, but you need to spread these bigger purchases out. If you have a budget, don’t bust it because you want the $250 pair of brown leather boots that would look oh so good with that $380 cream knee length coat. Chose one BIG purchase at a time. Don’t stress about paying off your credit cards (unless you’re really close) during the holidays. Life is tough enough, and you might actually need some of that money that you’re putting towards your credit cards to prevent you from getting more credit cards. So take some of the access (significant amounts over your minimum payment) money and get yourself what you know you need. The Frugal Fashionista at iVillage’s Steals & Deals blog has some additional pointers in one of her recent posts, so be sure to check it out. And don’t despair! We all run into a fiscal shortage every once in a while, but there is always hope! That first bit of insight is really interesting, “the tougher the economy the more basics will rule” I never noticed that, but now I will keep my eye out!